Yesterday, A drunk K. Brule tried to kiss Leo, and got into a fight with Khloe. In a shocking turn of events , Biggie issues three strikes for provocation. 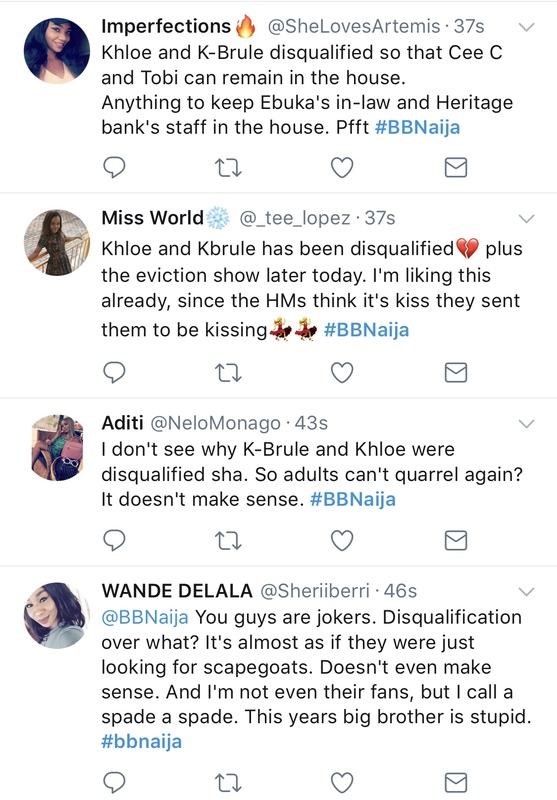 The Housemates seem to have a problem following Biggie’s rules and this evening it all came to a head when he issued three Strikes to Khloe, K.Brule and Dee-One for provacation. This week was one where everyone was walking on tender hooks, well, everyone but, Khloe. It’s no secret that she has always been a straight talker but she really took it too far last night when she openly called K.Brule’s mother something that no one should ever say. 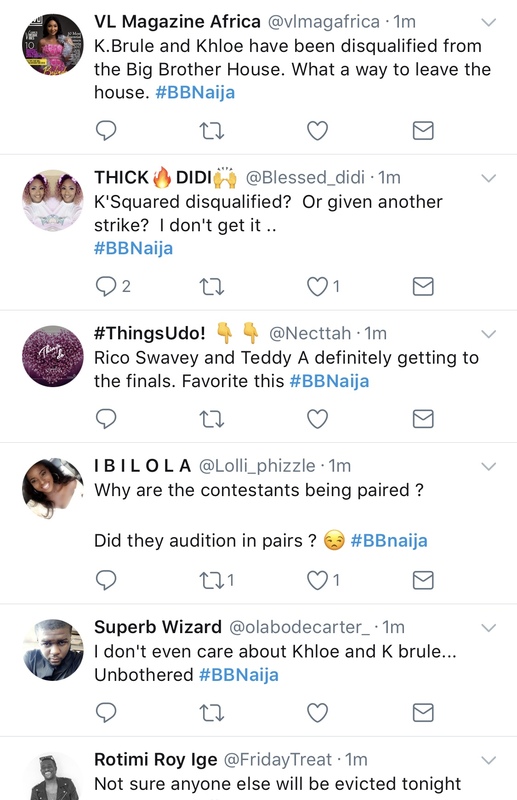 Due to this offense of provocation, Big Brother gave Khloe a Strike, putting the pair on two Strikes but this time her lack of tact dragged her into the worst punishment Big Brother could give, dismissal from the House. This is thanks in part to the behaviour of her partner. 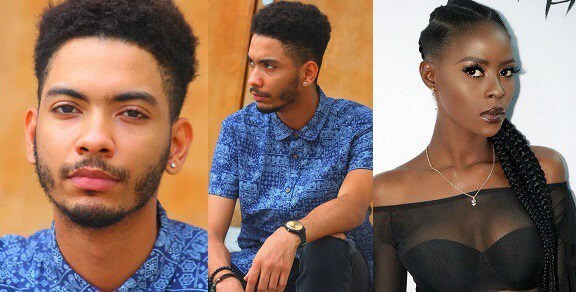 Tonight was not a good one for the pair of K_Squared, K.Brule, who has been openly emotional and sensitive throughout his time in the House also pushed Big brother too far. Last night, after threatening to assault Dee-One as well as being called to the Diary Room numerous times and still not responding, eventually having to get carried by his fellow Housemates to the Diary room. This act of utter defiance, put the pair on three Strikes which is what led to them being disqualified from the House. KBrule was earlier found guilty оf breaking оnе оf Big Brother rules, аnd fоr thiѕ hе was given strike. Hе wаѕ found guilty оf a “self-inflicted violence”. “Physical harm, rеgаrdlеѕѕ оf intention, playful оr spiteful, iѕ unaccepted in thе house”, Big Brother says, whilе giving him thе warning.